Hartman Reserve Nature Center is a 300+ acre wooded area in the middle of Black Hawk County. The original interpretive center was constructed in the 1940s and was later expanded in the late 1980s. 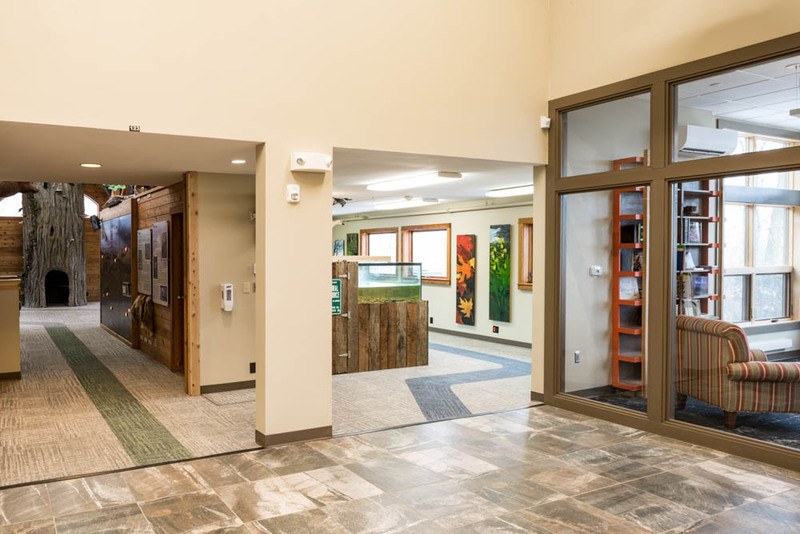 The Black Hawk County Conservation board decided it was time to update the original part of the building in this project and the original interpretive center was demolished to make way for the new addition. 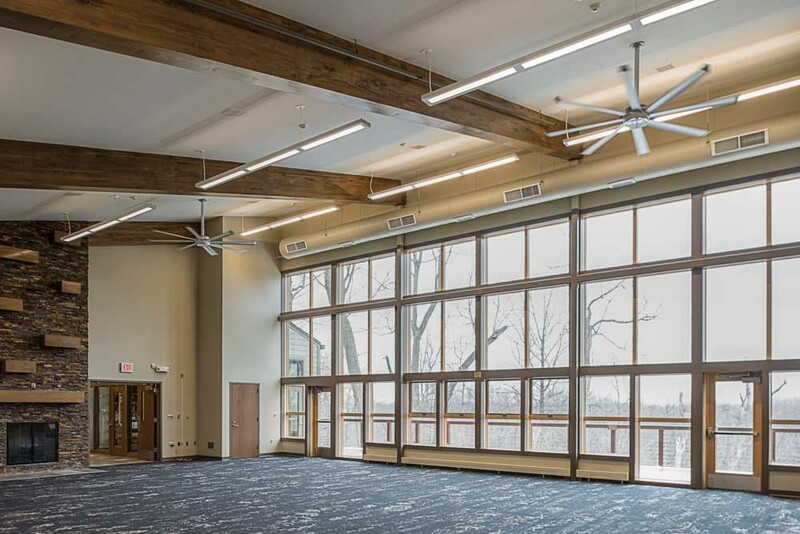 The goals of the project were to provide a more energy efficient building, additional space for large events such as the Maple Syrup Festival, and to continue to provide an avenue for educational programs. 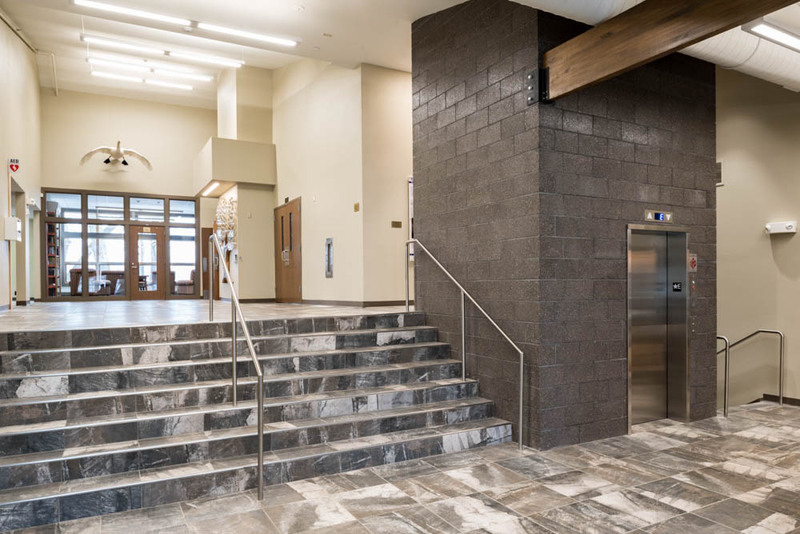 One unique aspect of this project is the 30,000-gallon underground fire protection storage tank and vertical turbine type fire pump system. The building sits right between the Waterloo and Cedar Falls city limits and had a less than adequate water supply to the building. The city infrastructure in the area was not set up for a commercial building. The tank and fire pump provide the required water flow and pressure to both the fire department and building sprinkler system. 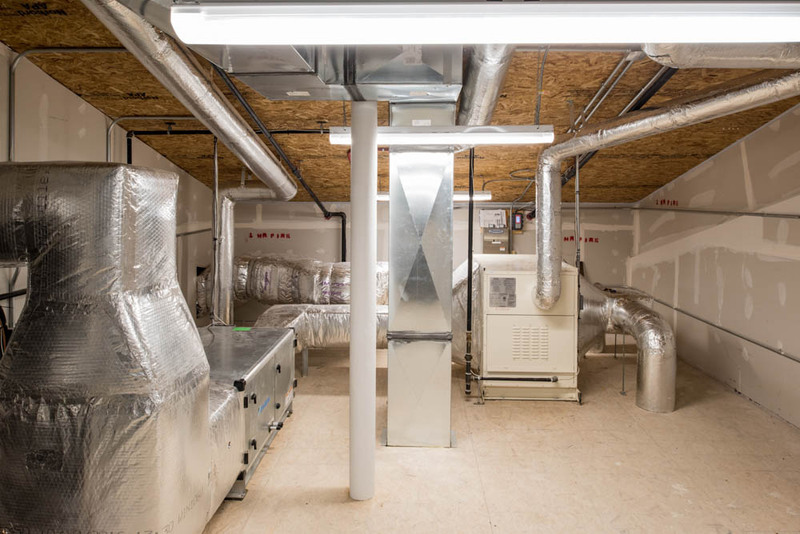 The mechanical system consists of high-efficiency gas furnaces and high-efficiency air-cooled condensing units that handle the majority of the space heating and cooling needs. 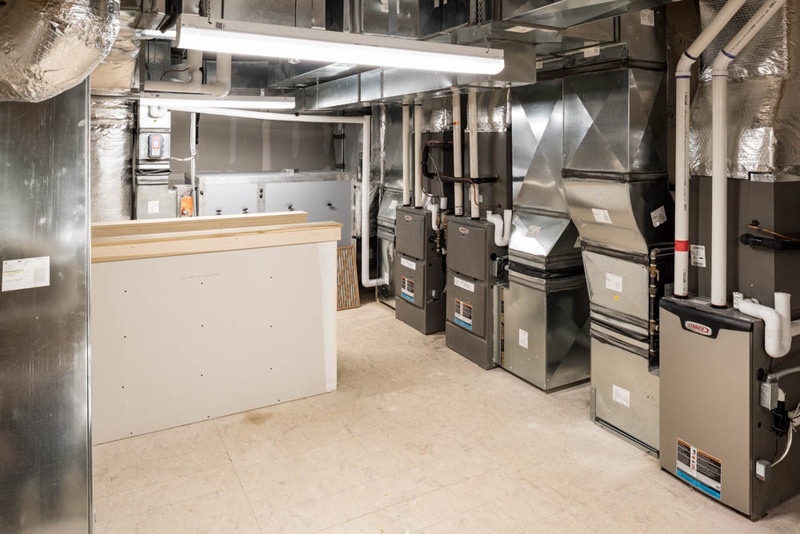 A small condensing boiler system was also included to provide baseboard heating in the large multipurpose room as well as heating of the ventilation air. Ventilation and exhaust from the building are provided by energy recovery ventilators (ERVs). The existing building had a small single phase service which required updating. It ended up being cost prohibitive to provide a new three-phase service so the new electrical service remained single phase which posed some challenges to the mechanical system design. 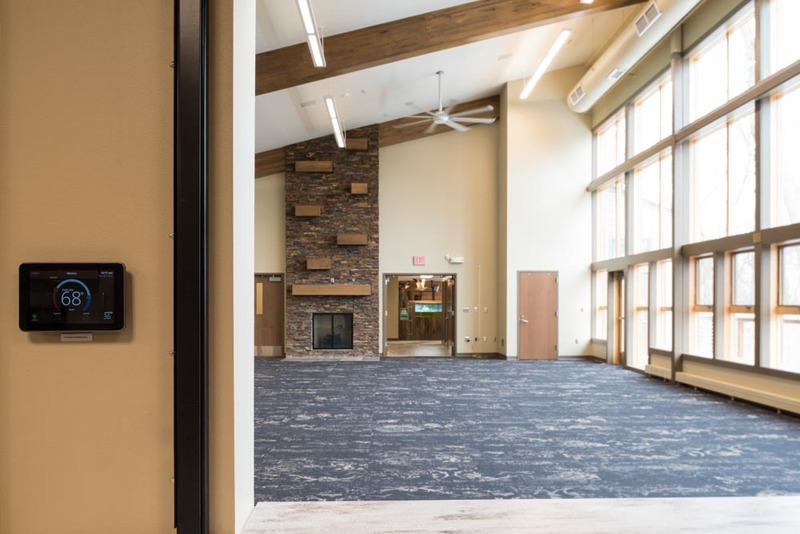 The light fixtures on the project were all LED and the lighting controls were installed to meet the current energy conservation code.